Patience, is something we all struggle with. Whether its patience with our kids, or trying to patient for our circumstances change, or the patience necessary to wait upon God to act, we all have some area in our lives that requires patience on our part. I remember when I was a new believer and I’d hear other believers say-“If you’re praying for patience, God will certainly give you more opportunities to practice.” For many of us, there are areas in our lives where we need more patience and for some of us, we are wired in such a way, that patience is difficult. I simply believe it is part of our genetic makeup. We are an impatient people living in a world that is vying for instant results and change. But I also believe, God in his infinite wisdom, wired us to lack patience so we would need to rely on Him and invite Him into our life. 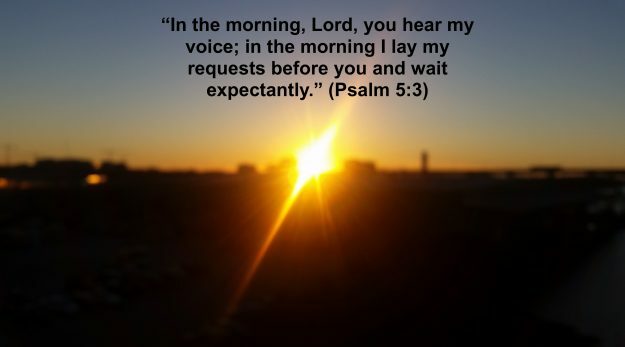 God speaks often of patience in scripture. From showing us others who felt the pulls of impatience, to allowing us to see how He provided for those in circumstances that seemed never-ending. The type of patience God provides can help us endure in tough circumstances and can even help us endure the daily struggles of raising children who clamor for our attention. I have to admit, writing about patience in a time where I am extremely impatient for my circumstances to improve is difficult. Yet, at the same time, how do I find the words to explain the incredible ways God has given me strength to find the positive in the setbacks of life….I truly find it difficult to explain. That is the Holy Spirit at work in me. Some days the patience is easy, others not so much. But one thing I know for certain-God is with me each day, providing all I need, and in those moments of impatience, He does remind me of His goodness. Scripture speaks of patience as a fruit of the Spirit, but patience means more than being able to get through, it means endurance, long-suffering and holding tight to our Lord when times are tough. But I think it also means daily conversations with the Lord, being honest about what we are feeling and taking the time to voice our questions to Him. It’s the daily conversations with God that helps us endure the difficulty. By opening up to God, He will fill us with the strength to endure and our eyes are opened to His work around us. The power and strength to endure, we all desire that when life is complicated and difficult. Life has seemed to take an upswing for us. My health is beginning to improve, my physical strength is improving, and I have started my home dialysis training. Looking back, I can see God’s hand at work all around my life, from friends who’ve encouraged and sent cards(many cards), to text messages and phone calls at just the right time, all a blessing from God that have helped me endure the challenges. So many people I know are in difficult seasons of their lives, I am not the only one. We all seem to manage our challenges in different ways, but my hope is, you will take a moment to pause and look back. If you do you will be able to see God at work. He is there in the quiet, in the stillness of the morning, in the middle of your tears, in the darkness of the night, He is present. He loves you and cares for you. Share your disappointments with Him and allow Him to fill you with the strength to endure. Dear Julie – So glad you are feeling better. He is our hope and Lord. Thanks for writing about patience. This is what I continually work on or I should say He works on in me. Love hearing your words of encouragement and hope. Sometimes I don’t see beyond my stubbornness. That’s when He has to knock on my heart to listen and be still and He will help! We really do need our Lord and I am so blessed that He has patience with me too! Julie, you are in my prayers. I am hoping that you are able to get the dialysis problem resolved. Patience is difficult for anyone, especially when you are not feeling well. Wishing you and your family Merry Christmas. I am convinced you should be a motivation speaker!! You are so inspirational through all of you challenges!!! John and I have you in our prayers!! !